Designed by artist Susan Mohl Powers, the geometric structure of Sailshades determines its inherent sculptured quality and each shade is easily adapted to any custom appliqué art. 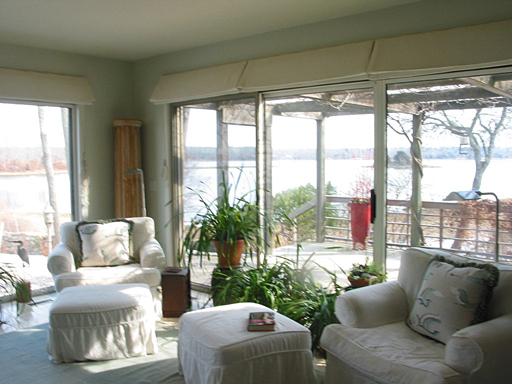 Every Sailshade is custom built to your window’s exact measurements. Free estimates are available. Just call the studio or send us by mail, Fax or e-mail the specifications of your windows. A thumbnail sketch is acceptable. We look forward to working with you on your design. For more information visit LOW-E.